Coppell High School Red Jacket seniors Anu Uppal, Almira Rajwani and Yue Taira attend the Red Jacket meeting in Red Jacket sponsor Aylor Rix’s class. 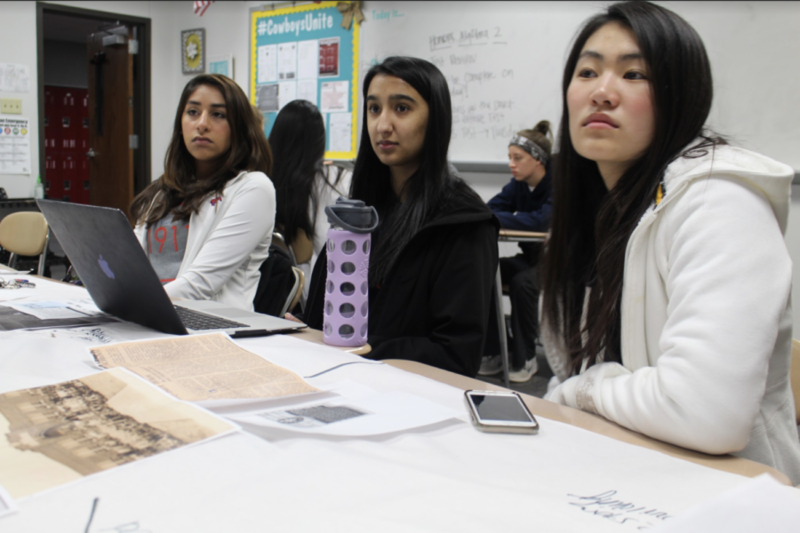 For their philanthropy project about the history of Coppell ISD, the students plan on creating a timeline to be implemented for the upcoming renovations. The history of Coppell dates back 150 years, and the Coppell High School Red Jackets have taken to documenting the milestones of this city. 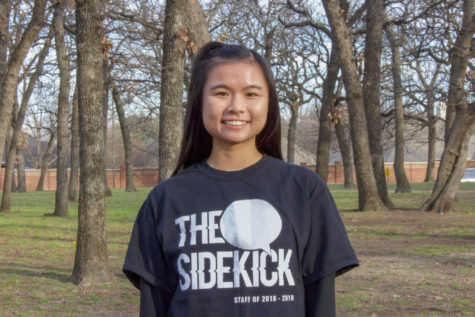 For their annual philanthropy project, the Red Jackets have designed and curated a timeline denoting major events throughout the creation of Coppell and its school district. From coming up with the design for the timeline at the start of winter to hand picking each picture in early spring, members of the Red Jackets played an integral role in every step of the process. To get professional input on the visual aspects of the timeline, the Red Jackets visited Corgan in the Dallas Arts District, a design company that has collaborated with Coppell ISD on multiple projects such as Coppell Middle School West. With this new information, the Red Jackets were able to finalize their blueprint. The timeline will be located above the student resources office on the south end of CHS and student services central. In total, the timeline will cover 10 specific dates with one or more pictures covering each time period, each being several feet wide. 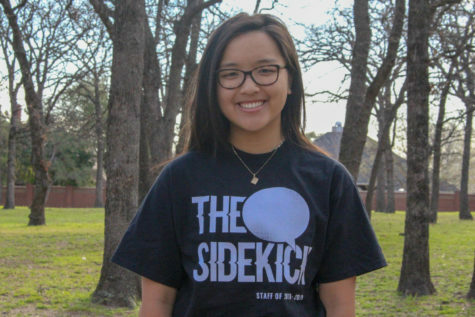 Despite being seemingly straightforward, each picture not only needed to accurately document the educational history of Coppell, but also needed to be able to connect with current CHS students. Each picture needed to bring something new to the wall, providing information that would not be seen with any of the other photographs. However, this timeline is more than just a collection of pictures of Coppell’s history. It represents the months of work the Red Jackets put in and ultimately everything the Red Jackets stand for. As ambassadors for the school, Red Jackets have also embraced the spirit of the city. 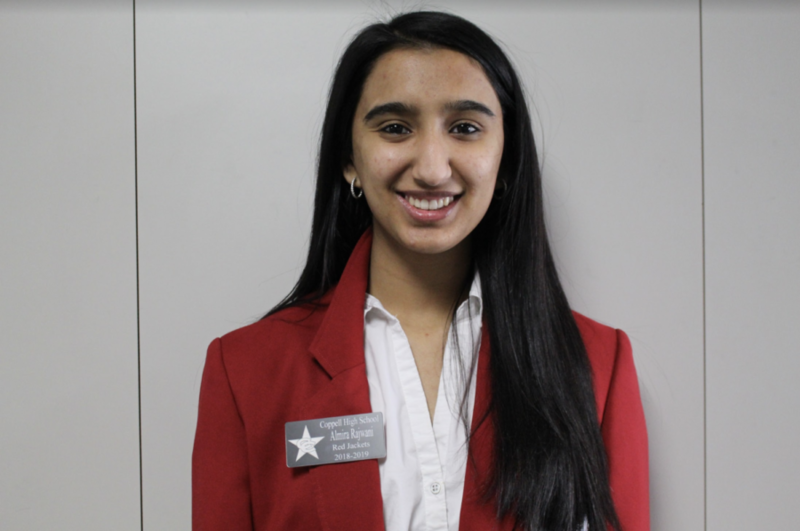 This timeline informs people both in and out of high school about the city in which they live, allowing the Red Jackets to fulfill their role all throughout Coppell. Construction of the timeline will begin in the summer. “This really just shows the whole community where we’ve come from and how that’s formed us into who we are today,” Woodall said.